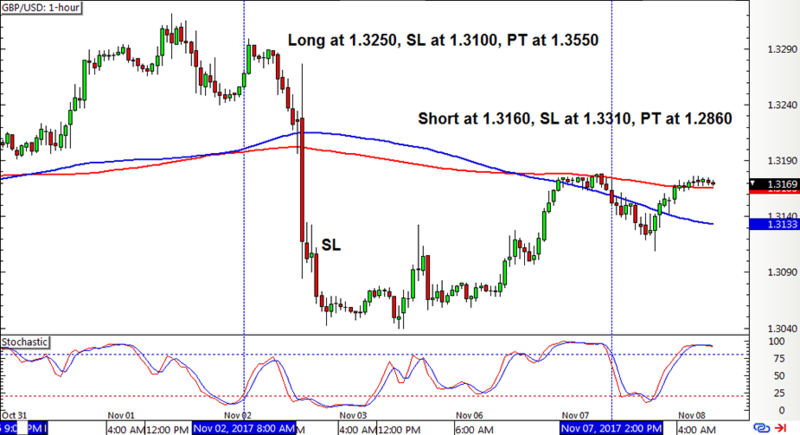 So far so good on the system’s open EUR/USD position, but how did the other pairs fare? Check out the latest signals right here! But if this is the first time you’re reading about the SMA Crossover Pullback system, make sure you look at the trading rules and risk management adjustments first. EUR/USD had a short position from waaay back and the pair showed enough bearish momentum to have its trailing stop activated. Price actually dipped really close to the target but not low enough to hit it, and it looks like the position might be closed early on a new crossover soon. Unfortunately for Cable, its long position opened early in the week was nearly instantly stopped out after the BOE decision. 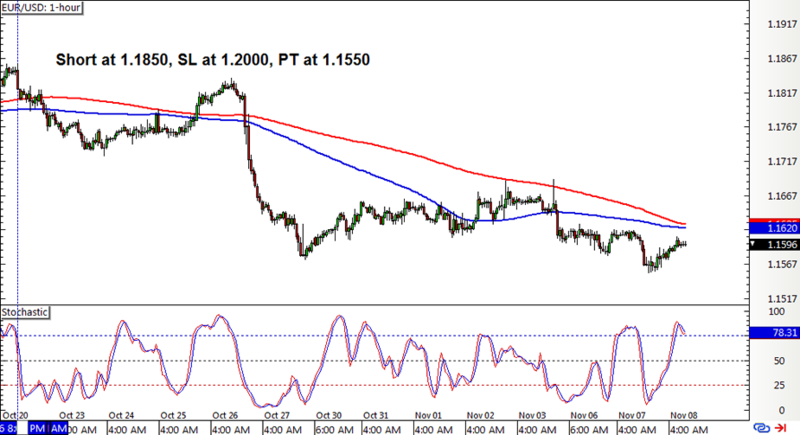 A downward crossover followed and a stochastic pullback signal opened a short position from there. 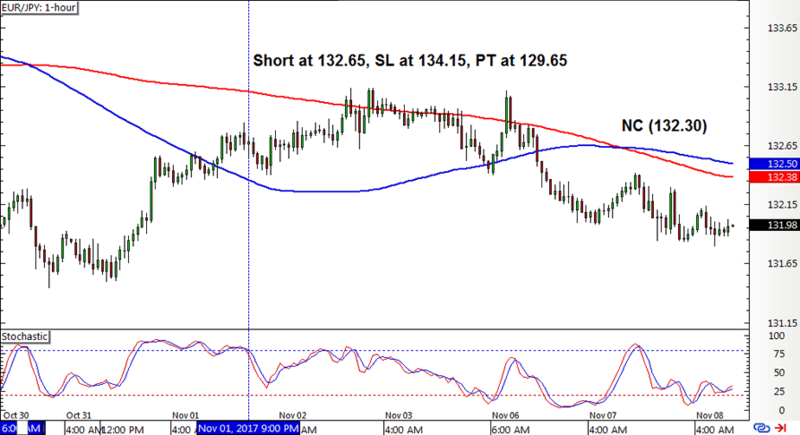 Lastly, EUR/JPY’s short position had to be closed early on a new crossover, but fortunately this still caught a few pips. This was followed by a long signal, but stochastic and the pair seem to be hesitating on their way up. With that, the SMA Crossover Pullback strategy ended up with a 115-pip dent or a 0.77% loss on the account, adding to the set of losses from the previous week. It’s too bad EUR/USD hasn’t triggered its full profit target just yet, but I’m still feeling pretty good about this position since it would definitely end in a win. I’m just hoping that it’s enough to make up for the back-to-back weekly losses! By the looks of it, the strategy is off to a bit of a shaky start this month as dollar price action is all over the place. Most of the moves appear headline-driven, particularly by tax reform updates, so EUR/USD and GBP/USD have been tossing and turning. A bit more clarity on this market factor could help the system out this November as it could allow trends to be sustained before the year comes to a close. ICYMI, check out the system’s performance for Q3 2017!